A collection of 23 funny cross the road jokes. Including the classic why did the chicken cross the road joke. Find out why the skeleton crossed the road. Why did the goldfish cross the road? Because the chicken was on holiday! Because it was stuck on the chicken’s foot! Why did the monster truck drive on the side walk? Because he didn’t want to run over the Chicken! Why did the potato run across the road? So it wouldn’t get mashed! Because his brother was at KFC! Why didn’t the bicycle cross the road? Because it was two tired! To prove to the opossum it could be done! 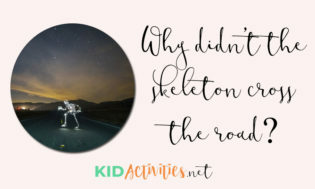 Why didn’t the baby skeleton cross the road? Because his mummy was not there! 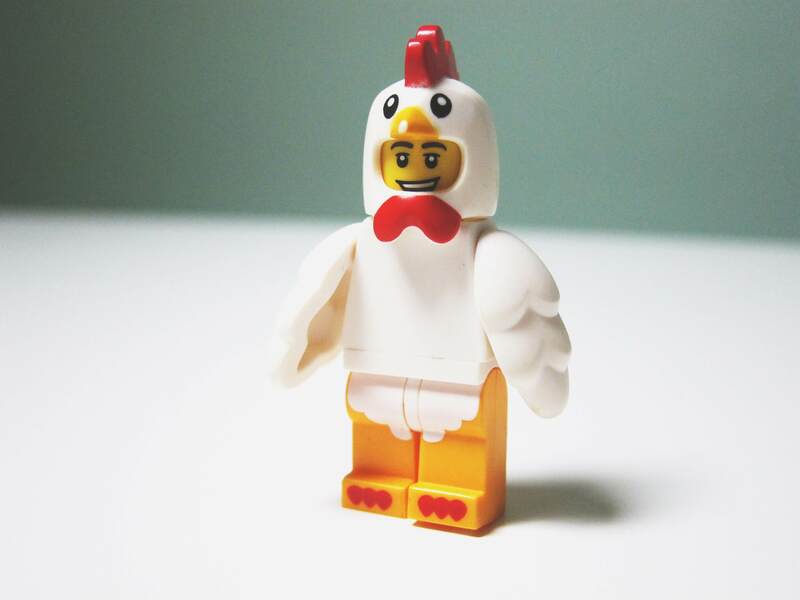 To show he wasn’t a chicken! Why was everyone mad at the pig crossing the road? Because he was a road hog! Simple Simon: How do I get to the hospital quickly? Smart Alec: Stand in the middle of the road. To prove he wasn’t a chicken! Why did the man with no hands cross the road? To get to the Second Hand shop! Because it had to go to the Body Shop! Because he didn’t have the guts! What do you call a guy who jumps in a mud puddle, then crosses the road twice? Why did the reindeer cross the road? Because he was tied to a chicken! Why did the nose cross the road? Because he was tired of getting picked on! So he could go the MOO-vies! There you have it, 23 cross the road jokes for kids. I hope you have found this collection of jokes fun and entertaining. These crossing the road jokes are clean and school appropriate, so you can share them wherever.